Dr. Anouja Mohanty has more than 5 yrs of teaching experience as an assistant professor. 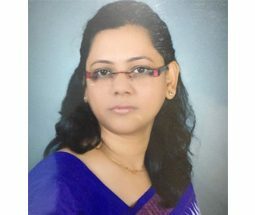 She has also worked as a Research and Teaching Associate in many National and International Universities like SVIM (Indore, India), Ottawa, Prestige & Arizona, Chicago, USA. She has many certifications in subjects like Spiritual Quotient and Business Ethics, from Yogi Cameron Institute, Los Angeles, USA, & AOL, India. She has successfully organized workshop and FDP programmes She has published research papers in the field of Economics and HR in reputed Journals and presented papers in conferences.